The development of the X3 engine, designed at the University of Michigan in cooperation with the US Air Force, is still underway, but the technology already looks promising for long-distance space travel. During tests at the Genn Research Center of NASA in Ohio, the X3 ion thruster generated 5.4 newtons of thrust. The previous record was 3.3 N.
“It operated at a huge range of power from 5 kW to 102 kW, with an electrical current of up to 260 amperes. 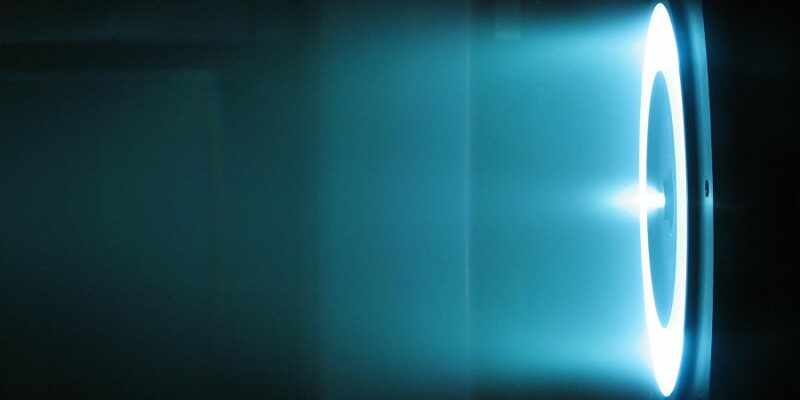 It generated 5.4 Newtons of thrust, which is the highest level of thrust achieved by any plasma thruster to date,” the dean of engineering at the University of Michigan, Alec Gallimore, who is leading the project, told Space.com. The X3 is a Hall thruster, a type of ion thruster in which the propellant, the most common being xenon, is accelerated by an electric field. This design uses a stream of ions to propel a spacecraft and expels plasma to generate thrust, which allows for much greater speeds to be reached compared to chemical propulsion engines. The potential of ion propulsion could be essential when it comes to long-term space trips, including traveling to Mars. A chemical rocket has a maximum velocity of 5 kilometers per second while a Hall thruster could accelerate a spacecraft to 40 km per second, according to Gallimore. Another significant advantage of a Hall thruster is its higher efficiency, relative to a chemical propulsion engine. “You can think of electric propulsion as having 10 times the miles per gallon compared to chemical propulsion,” Gallimore said. This is the shortcoming the X3 thruster is supposed to overcome, according to the engineer. The team is now working to improve the design. “We figured out that instead of having one channel of plasma, where the plasma generated is exhausted from the thruster and produces thrust, we would have multiple channels in the same thruster. We call it a nested channel,” Gallimore said. Next year, the X3 is set to undergo a new test aimed at proving that the thruster can operate at full power for 100 hours.